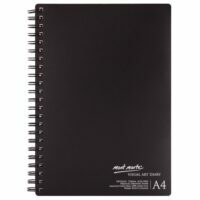 Artcoe Spiral Bound Cartridge Book 220gsm 30 sheets Short Edge A4 (Pad) 1.390 kr. 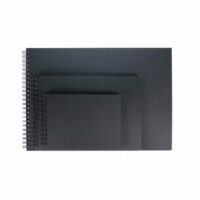 Spiral Bound Cartridge Book 220gsm 30 sheets Short Edge A4 (Pad) Good quality, acid free white cartridge paper, 220 gr ideal for both professional and student. The 220gsm paper can be used for watercolour and light washes. MontMarte Sketch Book 150 gsm 30 arkir A4 895 kr. 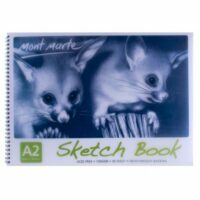 MontMarte Sketch Book 150 gsm A2 2.990 kr. 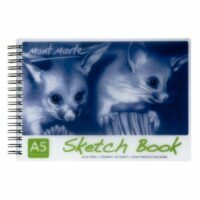 MontMarte Sketch Book 150 gsm A5 495 kr. 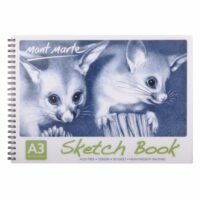 MontMarte Sketch Book A3 150 gr 30 arkir 1.090 kr. 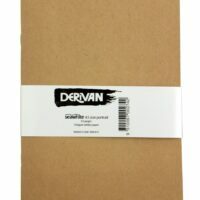 Derivan Sketchbook Seabright A5 495 kr. 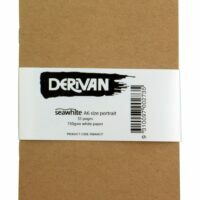 Derivan Sketchbook Seabright A6 395 kr. 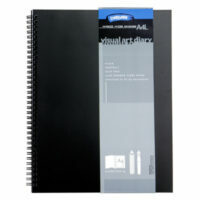 Artcoe Spiral Bound Cartridge Book 220gsm 30 sheets Short Edge A5 (Pad) 790 kr. 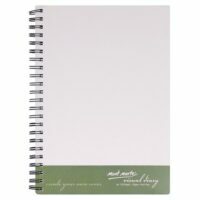 Spiral Bound Cartridge Book 220gsm 30 sheets Short Edge A5 (Pad) Description Good quality, acid free white cartridge paper, 220gsm – ideal for both professional and student. The 220gsm paper can be used for watercolour and light washes. 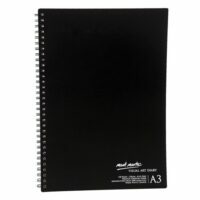 Artcoe Spiral Solid Black Cartridge Book 350gsm 20 sheets A4 Short Edge (Pad) 2.490 kr. 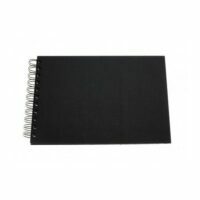 Artcoe Spiral Solid Black Cartridge Book 350gsm 20 sheets A5 Short Edge (Pad) 1.290 kr. 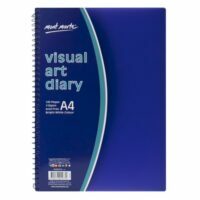 MontMarte Visual Art Diary A3 120 pages 1.490 kr. MontMarte Visual Art Diary A4 120 pages 790 kr. 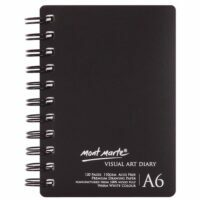 MontMarte Visual Art Diary A5 120 pages 395 kr. MontMarte Visual Art Diary A6 120 pages 275 kr. 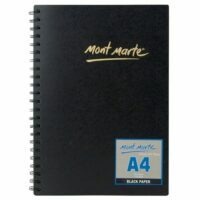 MontMarte Visual Art Diary Black 140 gsm A4 790 kr. 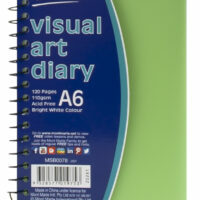 MontMarte Visual Art Diary PP Coloured Cover A4 690 kr. 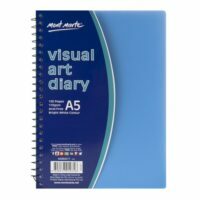 MontMarte Visual Art Diary PP Coloured Cover A5 375 kr. 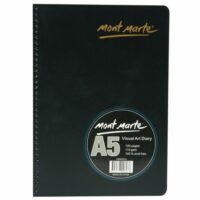 MontMarte Visual Art Diary PP Coloured Cover A6 250 kr. Derivan Visual Diary 23 x 30 sm A4 110 gr 120 bls 1.390 kr. 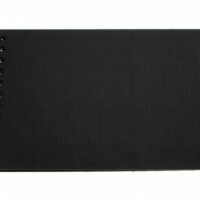 MontMarte Visual Diary Paper Cover 120 pages 110 gsm 695 kr.